What a lot of other people fail to realise is that this breakdown was the direct result of Allied action. It was achieved by Allied naval and air forces so it is wrong to claim that it happened because some quartermaster in Munich forgot to send them the right bullets. 'You' were reaping the benefits of your comrades actions in 1940-45. The defeat was the result of losing many prior battles and not some last minute change of heart by an invincible foe. WOW, 3 times you in one post... that must be some kind of record or something. I is one thing to be a patriot, that I can understand and respect. To resort to mud slinging at the first sign that someone is not going to drink your flavor of Kool-aid is not something that I can understand or respect. You are a respected member of this forum and have collected a great volume of information; as I have said before I have seen you post it and learned from it. This should be beneath you. If you want people to see things from your point of view; or if you have knowledge to share, it is easier to reach people by teaching them not insulting them. So you have nothing to say on the subject but squeal about not addressed properly? Very lame of you. When one cheers for the Nazi army which killed millions of civilians in the Soviet Union and elsewhere, I don't need any more proofs of his convictions. I find it thouroughly detestable to exibit any sympathy to the army which held the Siege of Leningrad. For your information, probably the only kind of German soldiers which could expect a fate worse than SS members after getting into Soviet captivity were Army Group North's artillerymen. Guess why? I'm sure you won't, cause Russian blood is like water for you and your Nazi-loving ilk. mkenny disagrees but, makes his point very diplomatically! Seriously, who are you to lecture me how to speak? Personally, I don't care how you answer as long as you present the facts. If you feel offended, you can complain to your mommy. Your obvious hatred and contempt for the nations around Russia/Soviet Union colors your opinions terribly though. Hatred? Maybe I know something you don't? Or what you pretend never happened? What shocks me is that 8 people voted for an option containing the words 'innate superiority'. Seriously ... there are folks on ACG who believe the Germans were innately superior? I feel I can say this because I am no spring chicken myself. You are not the final word on WW2. Any future childish outbursts from you will be ignored. Sorry folks, but the personal sniping has reached unacceptable levels and if not stopped, it seems likely that it would have become worse very rapidly. Thread closed while options are considered. Last edited by panther3485; 07 Feb 12, 02:19. Last edited by panther3485; 07 Feb 12, 02:47. Well I chose the early Blitzkrieg option because they swept most forces aside with ease and quickness. But I wonder if Hitler didn't get involved in the stratigic options of the army they might of taken out Russia by not pressing ahead and cutting Russias oil supplies in the Caucasus and diverting his supplies to Stalingrad and Leningrad and also when Hitler did not press onto Moscow earlier in the campaign that probaly destroyed his armies will and probaly cost most of his experience Generals. Any German army always needed to act quickly and with great initiative, regardless of time period. This is due to the simple fact that they had borders with significant powers, and if they fought one, another could attack them in the rear. They were the first army to realise the importance of signals and the additional control that could be used by that means to concentrate forces where required. Further, since speed was vital, local initiative was always favourably looked upon. The British also had the idea of having mobile forces that could concentrate firepower where needed, but failed to provide the communication network to do so effectively. For example, a 1939 infantry division had only c15 radios in total, and it was not until that number was c1000 that significant improvements in command were seen in action. The W Allies limited German maneouvre with firepower, specifically rapid artillery support, and the Soviets employed defence in depth as examples of how the German methods were countered. Given that the Germans tried to improve their army with newer kit rather than new ideas, it is no surprise they were overtaken in ability. As usual, all imo and generalisations used . They were the first army to realise the importance of signals and the additional control that could be used by that means to concentrate forces where required. Are you sure? Charles Broad's 'Mobile Force' demonstrated that in practice in 1931. The Boccage was a major element in holding up the W Allies, an event they had not foreseen, since every planner believed the Germans would play to their major strength in pin point accurate fire over long distances. This also gave the advantage of not facing naval gunfire. Normandy was a battle of attrition, and just as in WW1, the side with the most troops won it. The Germans also had some of their very best troops here eg Panzer Lehr, as well as some extremely fanatical holding troops in the form of the teenage 12th SS division. Combined with the terrain, going was always going to be tough as a result. Even so, casualties came out remarkably even, not bad for an attacking force against extremely defendable terrain. The Germans counter attacked in those same hedge rows. Panzer Lehr was roughly handled by the Allied air force during one of them. The 12SS also didn't reach the battlefield unmolested from the air. I doubt that Witt and co who were killed by naval fire would disagree that naval fire wasn't a factor. In any event you can't seriously be promoting the idea that the bocage evened out the allied advantages in air and sea power, supply, reinforcement and material? 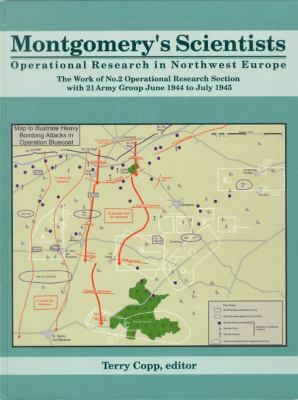 Airpower over Normandy has always been overestimated in its effect in most quarters, and had a significant reduced impact than that usually claimed (25% iirc). Really? And how did you come to that conclusion? Concerning supply and aircover, we only need to look at the Tunisian campaign where the Allies also had difficult terrain to cross, but with reduced air capability and supply compared to the Axis at this time. The same devastating defeat occured to the Heer, but just took longer. I'll happily plead ignorance on that one. The North African campaign bores me to tears. I've tried to get interested in it but it just doesn't do it for me. Yeah it's a nothing figure because it turns your statement " taking Normandy as the example, to hold up and inflict as many casualties on the Allies as they did for as long as they did was a pretty good effort considering what they had to work with." The Germans in the West had over 1.5 million troops to work with. Inflicting 200,000 casualties and being able to avoid crushing defeat in less than 11 weeks is not a great achievement. I suppose you expected troops Denmark or Holland to mail bullets to the Allies with a little note saying 'Bang! You're dead!'? However, all of the allies 'learned from their mistakes', and adopted their own take on what the Germans had done, and got very good at it in their own right. Towards the end of the war, the allied forces all had learned these skills, got good at it, and had enourmous industrial might and logistical expertise which operated well through unbroken supply chains. The Germans suffered the same losses in the counter attacks, except they were using superior kit, such as MG42's, Panthers and Tigers et al. As for the effects of airpower, I've been heavily promoting this book here, which has the original study of the impact of airpower. It concludes it was vastly over rated, with losses stated by pilots wildly exaggerated. It was often the excuse German commanders give for any tactical failures. Never said, nor implied such a thing. D-Day was a done deal, and the campaign was always going to be an Allied victory imo. Try to read about the N African campaign post 2nd Battle of El Alamein, much more interesting than the earlier period imo. D-Day was a done deal, and the campaign was always going to be an Allied victory imo. Once the beacheads were secured, I would agree. Not too sure about prior to that, except possibly with the benefit of 20/20 hindsight? Surely, there was considerable uncertainty at the time? "Try to read about the N African campaign post 2nd Battle of El Alamein, much more interesting than the earlier period imo." Speaking for myself, the N. Africa campaign has seemed relatively much less attractive to study. However, in more recent times I have started to develop a greater interest in the entire campaign. Like a number of subjects that initially appear rather 'dry', I think it can all be very interesting once you get into it. However, I reckon the areas of WW2 that will always hold my interest the most are 1940 in the West; then the Eastern Front 41-45; with NW Europe 44-45 falling into third place and everything else after those three. Last edited by panther3485; 07 Feb 12, 07:05. 200,000 casualties including thousands of Allied tanks and planes in just 11 weeks shows that there was a lot of fighting. Let's not forget that German defences were concentrated in the wrong locations to begin with. The Allies spend months in launching deceptive operations that were aimed at confusing the Nazi regime on where the Allies were going to invade. The most prominent of German defences was at Pas-de-Calais. Many German troops were also still based all over the West and not just Normandy. Nearly all of the French road and railroad bridges were also destroyed before the arrival of Allied ground forces. Last edited by Bravo Zero; 07 Feb 12, 07:34. All times are GMT-5. This page was generated at 15:12.